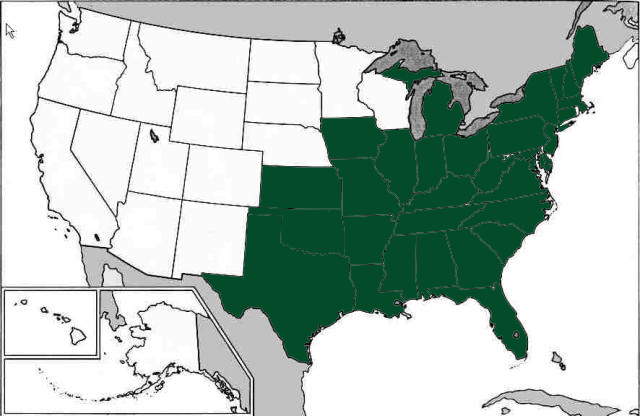 Foliage: leaves opposite, entire; upper leaves are united; evergreen in the South. Misc. 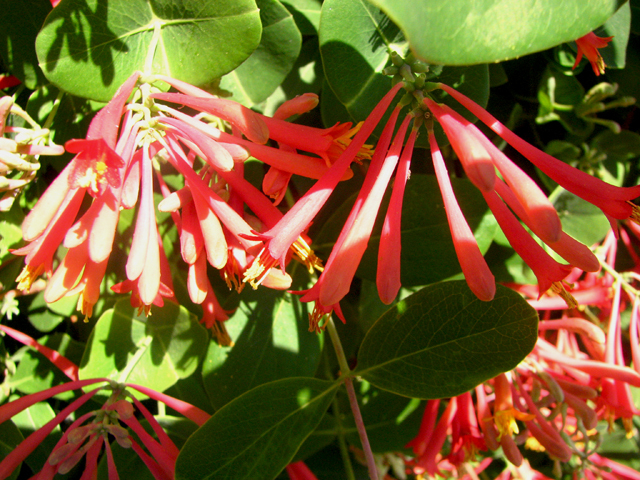 Utilized by hummingbirds and numerous butterflies. 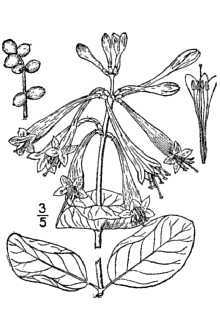 This native species is a good climber or ground cover, and not aggressive, unlike introduced honeysuckles.